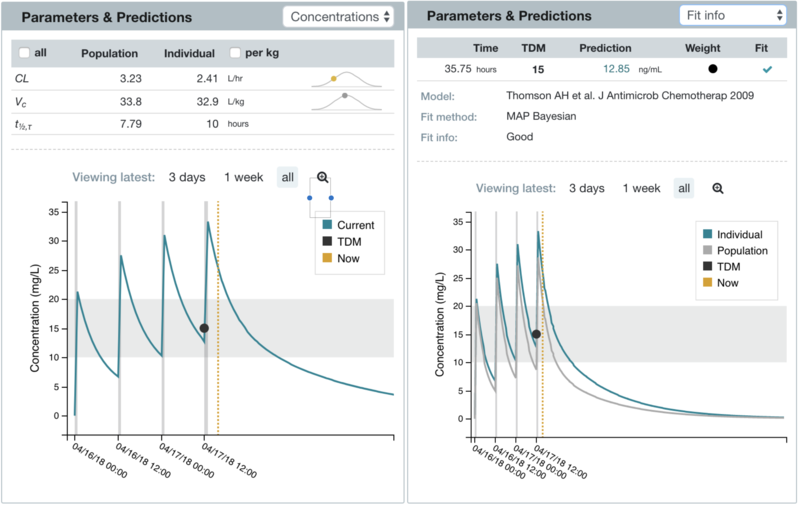 InsightRX leverages patient-specific data, PK/PD models, and Bayesian forecasting to understand each patient’s unique pharmacological profile. InsightRX makes PK/PD-guided dosing intuitive for all, providing practitioners of all levels with the tools they need to accurately dose the most challenging patients. Tailor the regimen to each patient with customized dosing. Assess and adjust dosing regimen based on patient-specific PK. Review patient-specific exposure metrics (e.g. Ctrough, Cmax, AUC). Simulate and visualize concentration-versus-time plots over the course of therapy. Assess PK model fit information. Remove the burden of manual data entry by integrating with your EHR. Track drug administration history and drug concentration samples. Print or save PDF reports of dose assessments. Easily share patients and record notes to coordinate care with clinical teams. Ensure your clinical and operational targets are being met across drugs, populations, and patient subgroups. 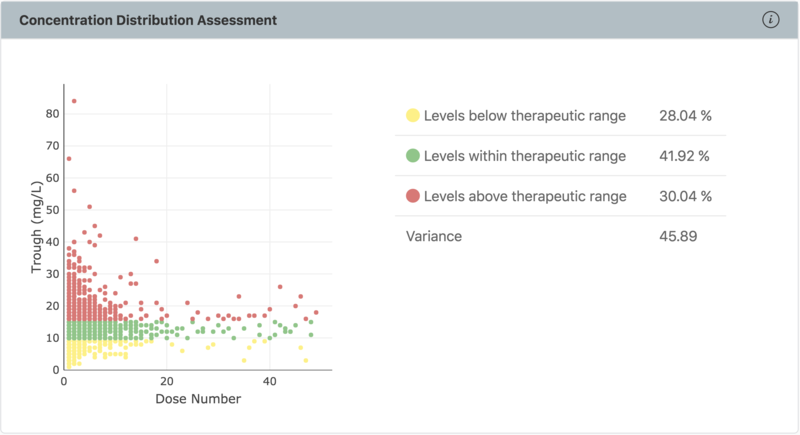 Key reports include: % of patients achieving therapeutic range, time to therapeutic range, and time within therapeutic range. Discover hospital, team, and physician insights to continually improve patient care and outcomes. Identify opportunities to reduce adverse events and costs. Track dosing practices across your institution to ensure high standards and consistency. Advanced features enable users to monitor their performance over time and compare that performance versus a variety of benchmarking options. See our list of available drug modules, or learn more about our EHR integration options.